We have gradually pulled away from the hosts and won the game while also giving our key players time to rest. Tina got us going in the first with two shots from the line, to which Debi added two more, before the home side scored from free throws. Then Tina made two field goals to push her team further away (3rd minute 2-7). In the next couple of minute we have doubled our lead with points from Yvonne and Amanda, what's more, the difference has reached double digits (6th minute 8-18). 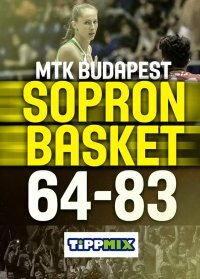 However, in the remaining time in the quarter MTK managed to get slightly closer to us, ending the first ten minutes with an eight-point deficit (10th minute 19-27). Betti began the second period with a double, to which Weber answered back likewise. Then after Aleks and Queralt's points we got in a comfortable double-digit lead (14th minute 23-34). The second was a low-scoring quarter in which the home side wouldn't let us pull further away from them, they managed to keep up with our efforts (25-34). Tina managed to complete a three-point play, to which Heged�s and S�le answered back with two quick baskets. Then came our Serbian center again with a double off the assist by Dalma. Then it was our young forward who put two foul shots into the net, which was followed by an exchange of triple between Bern�th and Yvonne, and after that Yvonne hit another one from downtown as a response to a double by Heged�s, after which Roberto Iniguez called a time-out (34-47). Following the short break we came up with a 5-2 period to close the half led by Tina and Amanda (20th minute 36-52). Heged�s was on fire for the home side, she got the first basket in the second half, to which Koch added two more points (40-52). Five minutes into the quarter Yvonne made one of two from the line and then Betti put two more points on the board. Szeitl and Betti exchanged basket, and then Amanda made a shot from close in, and when Debi drained a three the home side decided that it was time to talk things over, since the difference has reached twenty points, time-out MTK (27th minute 42-62). In the remaining time neither side was able to have a bigger impact on the game, we were facing the final quarter with a twenty-point lead (30th minute 46-66). In the final quarter we came up with a 6-2 run to start forcing the next time-out for the home side (34th minute 48-72). 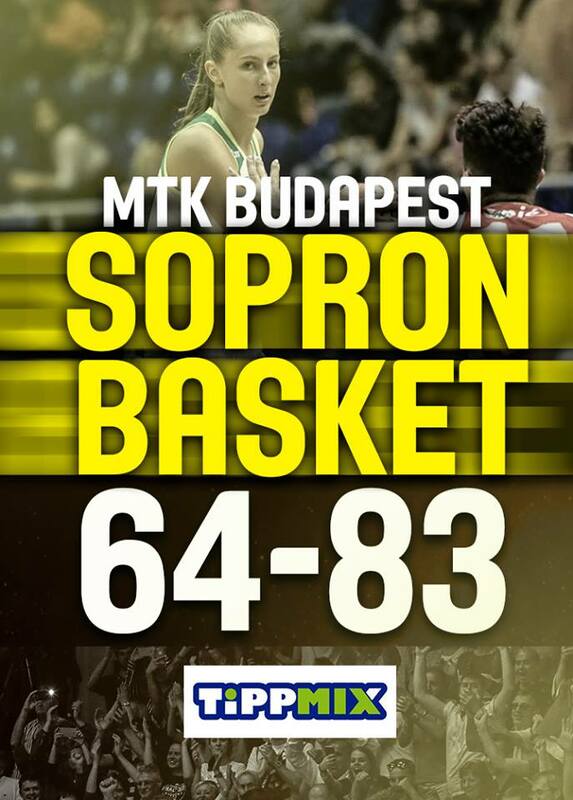 We kept scoring after the break, but so did MTK, they put seven points on the board while we did five. The hosts managed to keep their momentum going, and scratched off two more points from the margin (38th minute 58-77). The game ended with a difference just shy of twenty points (40th minute 64-83). Roberto Iniguez: Our goal for today was to improve in certain aspects. We did that on offense. In the last quarter the young players worked nicely, I was very happy about that. I know it is hard to perform on a high level after a game in Russia and travelling back and forth. All in all, I am happy! Congratulations to our opponents, too! They played well and didn't give up even for a minute! Deb�ra Dubei: We came here after a huge, crucial win. We try to take all games seriously, and that's what we did today, too. We tried to get ready for the next game, and also some players who have had less playing time recently got some more minutes on the court. This way the game was positive for everyone!